VINTAGE AI CARRARESI - Treviso - 15th, 16th, 17th September 2017 - A.N.G.E.L.O. The beauty of classical architecture and the elegance of the historic centre of Treviso are, for the second year, the scenario of the Vintage ai Carraresi trade show. The weekend from September 15th to 17th, at the enchanting Casa dei Carraresi, you are invited to dive into an artistic, sophisticated itinerary of selected exhibitors that will lead you to discover real and original gems of fashion, decor and interior design from the last century. With its experience in the vintage fashion field, A.N.G.E.L.O. 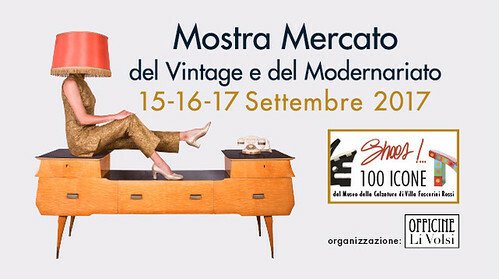 will attend and introduce as usual stunning pieces of high quality vintage clothing and accessories. This is an occasion you can't miss if you're desperately looking for love at first sight with that special piece of fashion or design.